"We have a written document that lays forth a roadmap of strategy and tactics,' Barry fund adviser Stephen Morrell says. Brian Barrett is one of the faculty directors of the Category 5 Student Managed Investment Fund. 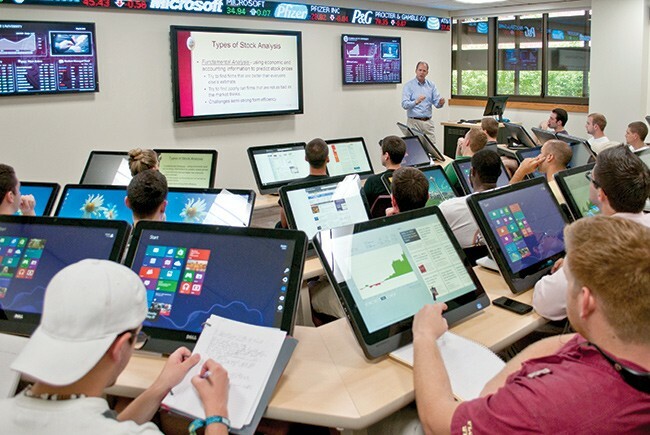 FSU students research investments and make pitches to an advisory committee. David T. Brown, Faculty director of Gator Student Investment Fund. Structure: About 45 members per semester are selected to participate. Students are divided into two groups: Risk management and research. The fund is led by two chief investment officers and two presidents. 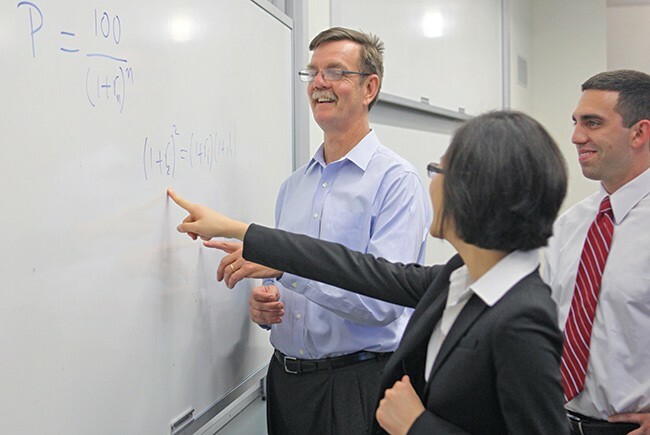 Students in the master of science in finance program can take a project course to improve the fund. Board composition: Six members made up of alumni with experience in managing assets. Fund: $500,000, invested in six sectors of the equities market. The fund will donate $20,000 to support the Florida Opportunity Scholars Program next year. 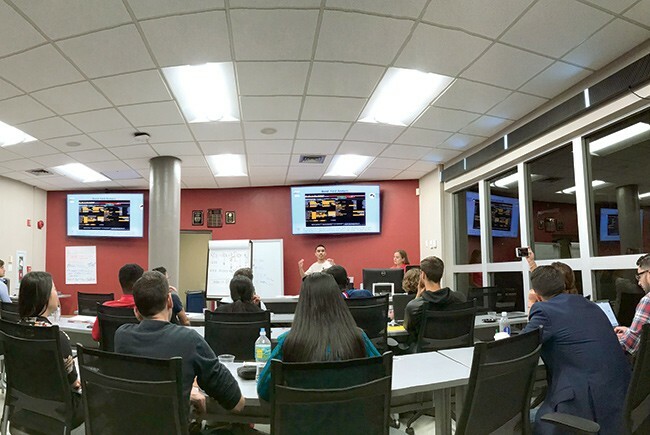 Decisionmaking: Students research and pitch stock in six sectors and present as a sector group to a student-elected CIO, who sizes and writes up trades if they are approved. A board of six directors comprised of faculty, alumni and students provide feedback on investment strategy. How funds are used: The Gator Student Investment Fund makes annual distributions equal to 4% of total assets under management in March of the previous year to both the Machen Florida Opportunity Scholars (3%) and the Warrington College of Business (1%). Perspective: “The students are not enrolled in a course. They recruit members to the fund, train new members and manage the entire investment fund. As a result, participants get hands-on investment experience and hands-on experience in leadership and working in teams,” says Brown. For 2019, students are paying more attention to portfolio construction. “For many sectors, we are interested in identifying names with compelling investment themes that also act as offsets to current factor exposures such as long and short-term volatility.” Each sector — consumer, energy, financial institutions, health care, industrials and technology — holds two to six stocks. Bowling plans to work as an analyst for an investment bank in the mergers and acquisitions group in New York when he graduates. Structure: About 30 students per semester are selected to join the class and placed into one of seven groups. Chief investment officers are in charge of running the class, executing trades and overseeing sector weightings. Heuson, a finance professor, says her role is to ensure the students’ valuation work is objective and calculations are accurate, remind them to keep a balance across sectors and help them minimize risk when buying a stock. Decisionmaking: Students are divided into seven groups/sectors to research stocks. Each has a sector head. The entire class votes on whether to buy or sell a stock — 51% is needed for approval. When students bought MasTec last semester, they sold another stock in the industrials sector to keep a balance. “It’s hard to get them to make a sale decision,” Heuson says. The students are currently looking to buy a stock in the financial sector, where the fund is underweighted and they see opportunity. Perspective: “Students learn valuation, get strong presentation and persuasive argument skills, gain an understanding of how to look at management and how adding a stock will impact the diversification of portfolio,” Heuson says. Policy: UM’s current policy does not allow students to take short positions or trade options. However, Heuson says, students would like to change the policy to allow for more active management. “The university’s investment committee is thinking about it,” she says. 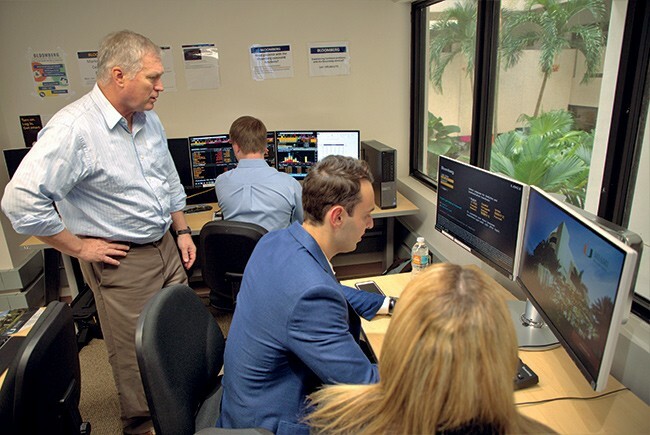 Profits: UM uses 3.5% of the fund’s closing balance to send students to a global asset management education conference in New York City (known as the GAME conference). Kyle Verduin, a senior at UM, says he discovered investing real money requires a lot more than simply showing interest in a stock. As a member of UM’s student investment group, Verduin learned to do his research, put his findings into a presentation and persuade classmates. “Investing the school’s money makes you take the time to put in 30 to 40 hours of research and run financial models to make sure you are accurate in your view,” he says. Verduin says for 2019, he and his classmates are looking at factors that could affect the markets. The U.S. trade war with China and possible actions by the Federal Reserve “are the two things we are looking at right now. Overall, though, we think it’s a safe environment to be in equities,” he says. As co-chief investment officer, Verduin keeps a close eye on high-performing sectors. “I think there is value to be had in industrials. Also, health care did well last year, and we think it will do well in 2019,” he says. When he graduates, Verduin hopes to get a job at a financial firm and says his involvement with the fund helped him find his future path.